Canine influenza is highly infectious and dogs can get it year round. So, what exactly is the dog flu and what can you do about it? That and more, answered. For people, flu season is right around the corner, but did you know that for dogs flu season never ends? The dog flu is active in communities across the country year round! To learn more about what dog parents need to know about canine influenza and how to keep your dogs safe, we spoke with Cynda Crawford, DVM, PhD, the Clinical Assistant Professor of Shelter Medicine at Maddie’s Shelter Medicine Program at University of Florida College of Veterinary Medicine. 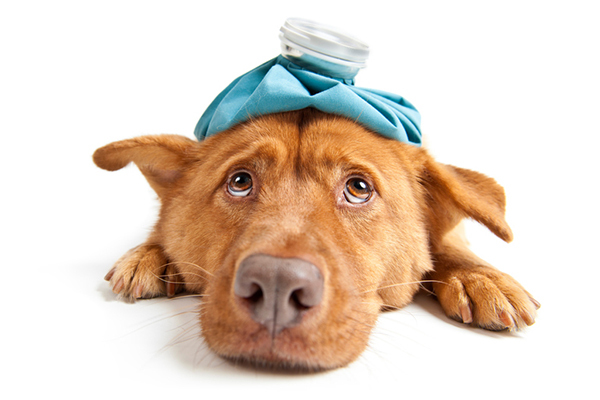 What is canine influenza, or dog flu? Symptoms of pneumonia in dogs include difficulty breathing. Dogs with chronic health conditions are the most at risk for serious complications from the dog flu. What are the two strains of canine influenza? H3N8 is a dog flu virus has been in the US dog population since 2004 and infected thousands of dogs in 42 states, with hundreds of dogs dying from pneumonia complications. The second canine flu virus, H3N2, entered the United States in March. This strain came into the US via infected dogs from Southeast Asia, where the virus is very common. In the last two years, the virus has spread across the country. It appears to veterinary experts that H3N2 seems to make dogs sicker for longer periods of time, and “it seems there is a higher possibility of a dog progressing to pneumonia if they are infected with H3N2 as opposed to H3N8,” Dr. Crawford notes. What are the differences between the two strains of canine influenza? Dr. Crawford explains that this is the hardest part for pet owners, because once dogs appear to feel better, owners will go back to their normal routines. This means that infected dogs might unknowingly expose many other dogs to the virus — especially dogs with H3N2. Where is canine influenza right now? This summer, canine influenza outbreaks began in the show dog population in Florida and Georgia. Dr. Crawford explains the progression of the virus over the past couple of months: “In June 2017, there was a reported outbreak in the show dog population, starting in Florida and Georgia and infecting hundreds of show dogs. It spilled from show dogs into the pet dog population in central Florida, where it infected dogs in boarding facilities. Then, it went from dogs in boarding facilities to dogs in shelters in central Orlando. Since June, this virus has moved from Florida and Georgia to 15 other states where it has infected pet dogs, dogs in shelters and show dogs. Currently, we still have very active influenza transition zones in Florida, Texas, Kentucky, Illinois, Indiana and Minnesota. 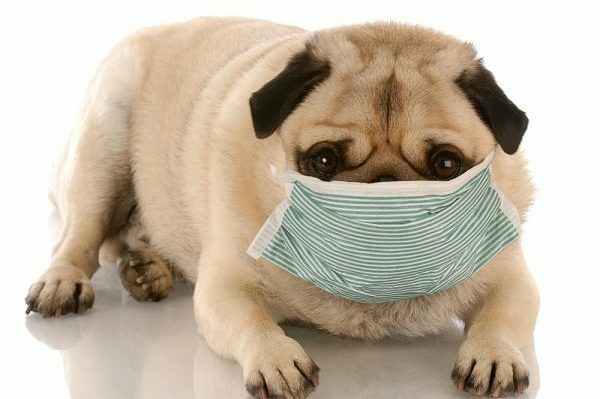 Dog flu has been reported in Houston, Texas and Florida. Therefore, there are concerns that dogs being displaced by Hurricane Harvey and Hurricane Irma were exposed to the canine influenza virus. Dr. Crawford says that this is exactly what happened in 2012’s Superstorm Sandy in New York and New Jersey. In two of the temporary shelters housing displaced dogs, “both shelters experienced a canine influenza outbreak that lasted for two months,” Dr. Crawford says. 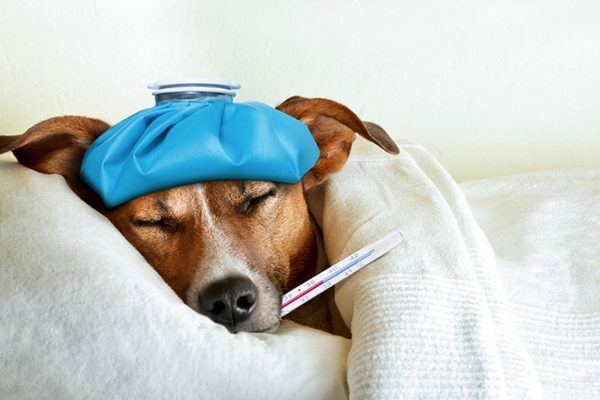 What dogs are at risk for canine influenza? Dr. Crawford says social dogs are the most at risk for canine influenza. “A dog that goes out to various public settings and interacts with other dogs from the community at a dog park, parade, dog daycare, obedience training class, pet store — these are dogs that go into the community and interact with other dog social dogs,” she says. Of course, your dog’s risk increases if canine influenza is prevalent in the community. Dr. Crawford recommends that pet owners watch local news for reports and talk to their vets if there are local dog flu outbreaks. If you see reports of an outbreak in your area, be aware that things like bringing your dog out in public and taking your dog to daycare come with an added risk of infection. How do you protect a dog from canine influenza? She also recommends vaccines for all show dogs or dogs who compete in canine sports, as well as all service dogs and dogs that travel with their owners. Dogs that live with veterinarians or their staff should get vaccinated, as well as dogs whose humans work in dog daycares or training centers because of how easily people can spread the virus to dogs. Think your dog has canine influenza? Call your vet before bringing him in. Most importantly, if you think your dog is sick do not bring your dog directly to the vet. Call your veterinary office first and discuss by phone how you will bring your dog to the clinic. Canine influenza is extremely contagious, and your vet will want to coordinate your arrival at the clinic to make sure your dog doesn’t expose any other dogs at the clinic to the flu virus. Most dogs with confirmed canine influenza are able to recuperate at home with antibiotics so long as they don’t have pneumonia, but it is important for sick dogs to receive medical treatment. “Canine influenza is not a seasonal infection like human influenza. It’s a year-round presence and dogs of all ages and all breeds are equally vulnerable to infection,” Dr. Crawford cautions. The American Animal Hospital Association will release the updated 2017 Canine Vaccination Guidelines soon. This is an online resource that is available to veterinarians and pet owners, giving the most current recommendations on canine vaccinations, including influenza. Visit aaha.org/CanineVaccinationGuidelines for more information.